When a movie as expensive as Battleship fails this spectacularly, there are bound to be ramifications well beyond the home port. Here are five likely ripples from Battleship’s sinking. Curiously, not all of them are bad. 1. A cloudier future for the Walt Disney Studios. Battleship producer Scott Stuber was campaigning hard to run the chairman-less studio. But between this and The Wolfman, that’s two $100 million-plus write-downs to Stuber’s credit. It would seem an awfully steep climb to convince a studio that just fired chairman Rich Ross because he caused a $200 million loss on John Carter to now take a flyer on the guy who just cost Universal, at our estimation, a $120 million one on Battleship. 2. The implosion of Universal’s own executive ranks. Goldstine has overseen the marketing of some recent wins, too — think of both the utterly mediocre but brilliantly sold Safe House and The Lorax — but longtime Universal co-chairs Donna Langley and Adam Fogelson are under pressure themselves. They’ve been taking meetings at Hollywood talent agencies about new projects with the caveat that “if Battleship worked, they’d be fine, and if it didn’t, they’d be fucked,” per one insider. Well, we know how that turned out. Langley and Fogelman may be toast anyway, but Hollywood studio protocol dictates that they throw their marketing capo under the bus, regardless of whether they’re next. 3. The unlamented end of “Lie Concept” movies. “High concept” is the Hollywood parlance used to refer to any movie that can be easily described by a succinctly stated premise. (Cujo, for example, was sold as “It’s Jaws, with paws.”) But in recent years, we’ve been force-fed “lie concept” movies — movies whose title suggested some sort of brand or hook on which to hang a feature film, but whose utter lack of narrative thread and/or appeal doomed them from the start. Along those lines, over the last couple of years, we’ve been treated to Marmaduke, MacGruber, Jonah Hex, New Year’s Eve, Cowboys & Aliens, and now, Battleship. “Battleship never got over the whole idea of, ‘Really? Come on!’ as a judgment against it,” said one Universal insider. Judging by the rapid demise of just about every Hasbro movie in development, it seems clear that the notion of making an expensive film based on a concept that was entertaining in some non-film form might actually be close to dead. Do you hear us, Adam Sandler’s Candy Land? 4. From now on, only members of the Billionaire Boys Club will get shoot-for-the-moon budgets. Peter Jackson. James Cameron. Michael Bay. Robert Zemeckis. Sam Raimi. Gore Verbinski. Christopher Nolan. Ridley Scott. Roland Emmerich. Chris Columbus. Tim Burton. These are the directors whose films have cracked a billion dollars in grosses, and unfortunately, at any given time, less than half of them are available to shoot your new blockbuster — assuming they’d even want to. This is problematic, because there is a science to gigantic action movies, and without one of these steady hands on the tiller, things get messy, fast. 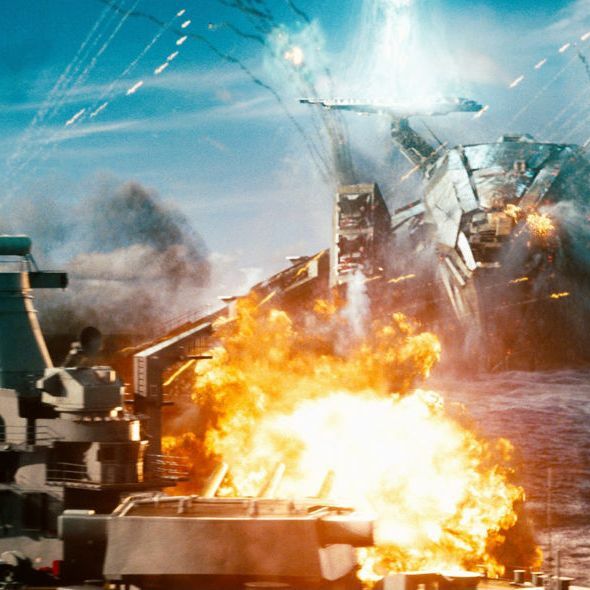 Consider Battleship: Despite the studio’s claim that Battleship cost only $209 million, insiders tell Vulture that with its four weeks of costly reshoots, it actually weighed in at close to $250 million. But let’s be woefully credulous for a moment and pretend that Universal was telling the truth when it says that Battleship only cost $209 million. Even still, it’s facing, at the minimum, a $120 million loss. That’s because you can confidently add $100 million in marketing costs — figure $50 million domestic, and another $50 to $60 million overseas — to sell the movie worldwide. And then there’s the inconvenient truth that theater owners do not work for free. They get paid 45 to 55 percent of the opening weekend’s grosses, but sometimes as much as 60 percent of the opening week’s grosses overseas. So, on a $209 million movie that’s cost another $100 million to market, has only made $200 million overseas, and will likely top out at $75 million domestically, the math looks like this: $309 million worth of cost, and $275 million in grosses, split roughly in half with exhibitors ($138 million) puts Universal about $170 million in the hole, theatrically. One can safely figure on the film making another $50 million from the sale of rights to pay-per-view, cable, TV, airlines, hotels, and home video, but conservatively, that puts Universal in line to take at least a $120 million loss from Battleship. We can expect that the next time we see a budget this big, it will likely carry one of the names mentioned above. 5. … and, perhaps, the Return of the Middle? We are reminded of M. Night Shyamalan’s Signs, and the character played by Joaquin Phoenix, Merrill Hess. A failed minor league ball player with an incredibly powerful swing and five home run records, no one could figure out why Hess never progressed to the majors. The answer, Merrill sheepishly admitted, was that he swung for the fences at every pitch. This is, of course, how the movie business behaves these days, either bunting or aiming for the grandstands, when what wins you the pennant are modest successes. Ironically enough, this has been the one area where Universal has excelled recently: Contraband — a $25 million movie that’s grossed almost $100 million worldwide. Bridesmaids — a $33 million film that’s grossed $288 million worldwide. Safe House — an $85 million movie that’s grossed just over $200 million worldwide. The Lorax — a $70 million film that’s grossed $300 million worldwide. Even before Battleship sank, the repercussions of its expected demise were being felt all over Hollywood. $125 million projects stalled, and producers and directors were given marching orders: cut it down to $85 million, or no picture for you. It would seem that doing more with less isn’t just the order of the day — it might be the only way for Hollywood to save itself from itself.